Ashley Hanson is a modern day master of colour. 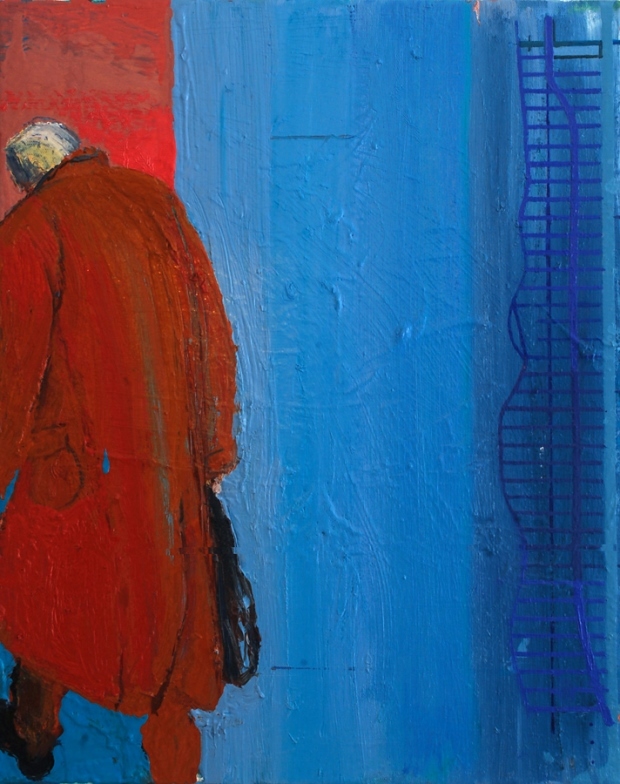 His work is inspired by the city and the sea, with exotic colours fusing with dynamic compositions. Artist Ashley Hanson originally trained as an architect before switching to Fine Art after seeing a Peter Lanyon Exhibition in Manchester in 1978. He left Canterbury College of Art with a 1st class degree in 1983 and moved to London to find himself as an artist. 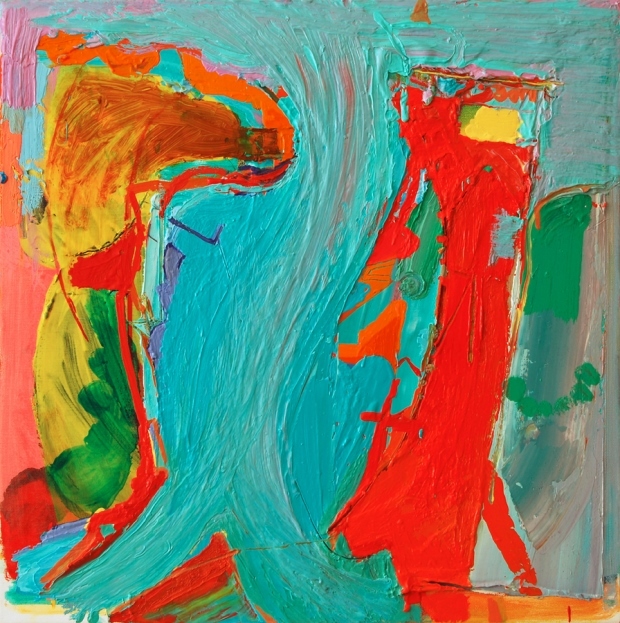 Over a thirty year career his work has moved from figuration to pure abstraction before finding his own unique style and language which fuses together elements of both. He moved to Cornwall in 2005 to be closer to the coastal landscape that inspires much of his work. 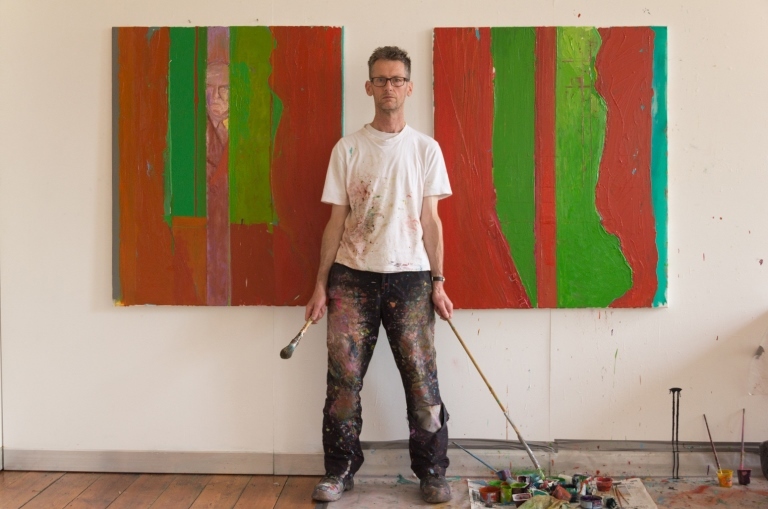 His paintings have been selected for the RA Summer Exhibition, the Discerning Eye, the National Open Art Competition, the Ludlow Open and runner up in the Hunting Art Prize. For the past three years, Ashley has been working on his ‘City of Glass’ series, combining ideas inspired by the novel ‘The New York Trilogy’ with his own experience and memory of New York. 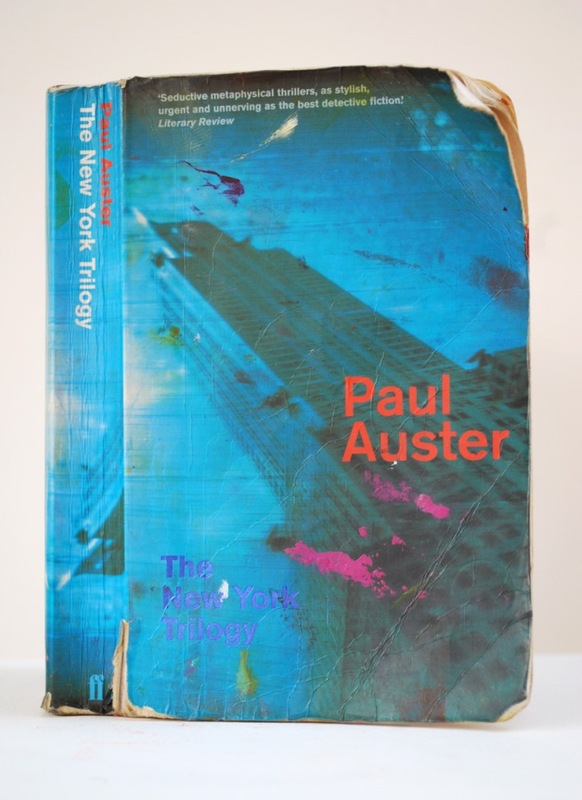 In November 2014, Ashley was thrilled to receive a letter from the author of ‘The New York Triology’ Paul Auster who congratulated Hanson on his ‘magnificent paintings’ and went on to describe them as being ‘Strong and beautiful – and haunting’. Here Ashley speaks about the ideas, inspiration and his painting process. ‘The inspiration for my painting comes from a variety of sources, journeys, books, music – there is always a multitude of ideas for new work spinning round in my head which I have to write down, make them concrete before they disappear. In the studio I like to be surrounded with information, reference material, drawings, photos, maps, my paint-spattered copy of ‘The New York Trilogy’, but a painting is a live thing, full of possibilities; it’s what you do with the source material that counts. My work is a mixture of information and imagination and explores the dialogue and tension between image and the map-like painters’ space. I always start with colour, sometimes imagined, sometimes seen, often the leftover colour from the last painting. Sometimes I plan ahead, if I think it’s going to be a red painting, I’ll start with green knowing sparks will fly and the colours pulsate somewhere down the line. 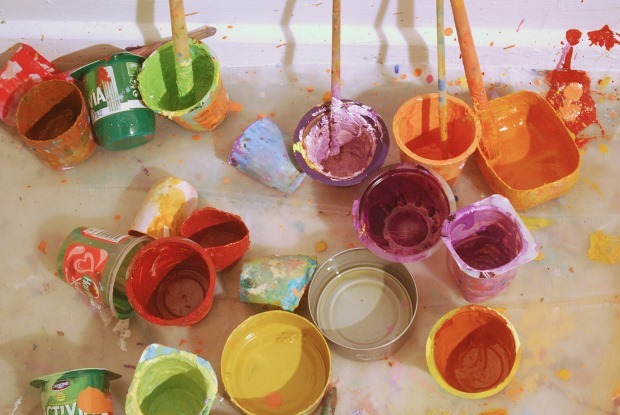 All the time during the process, I’m searching for sensation, for those magical colour combinations. Once the canvas is covered with random, expressive marks then I’ll make a coffee, sit in the chair and try and make some connection with the paint on the canvas and the idea for the piece. Everything is open, ideas are fluid: exciting, unexpected things happen in the process – I think the trick is to recognize when something exciting has happened and then build on it. 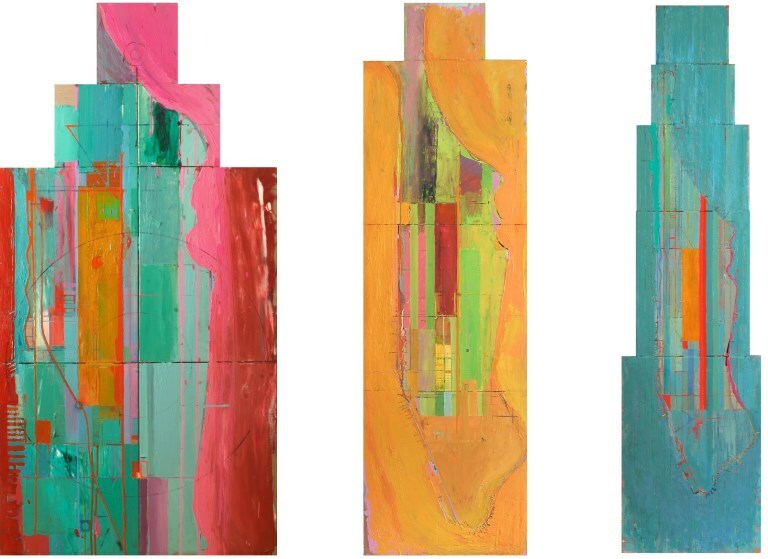 The idea is introduced, the shape of a harbor or in the ‘City of Glass’ series, the avenues of Manhattan tentatively established with long vertical drips of paint. The orientation of the canvas and the scale of the elements contained within are changed frequently, multi-layers of liquid colours are applied to edit and refine, as I search for a stronger composition and design. Drawing is constant both from and within the painting, to bring clarity, control, structure and context. 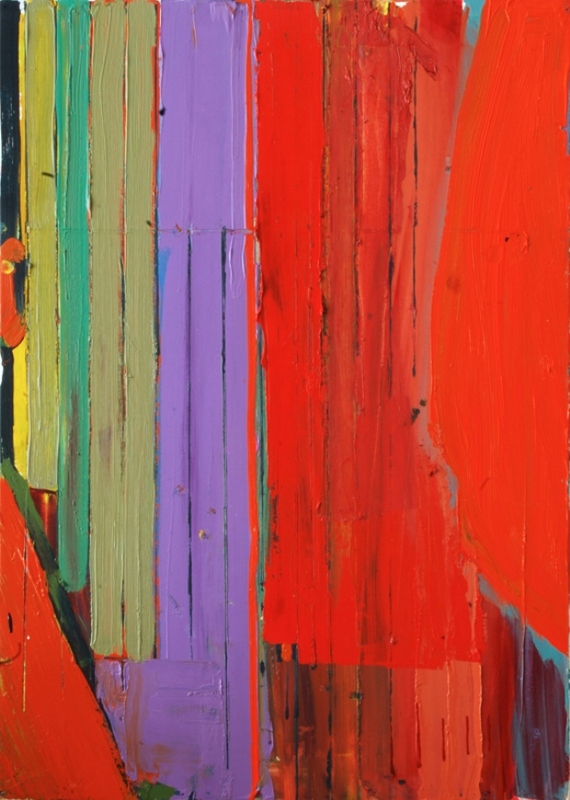 The paint is brushed, knifed, smeared and cut, often peeled back to reveal the layers beneath. 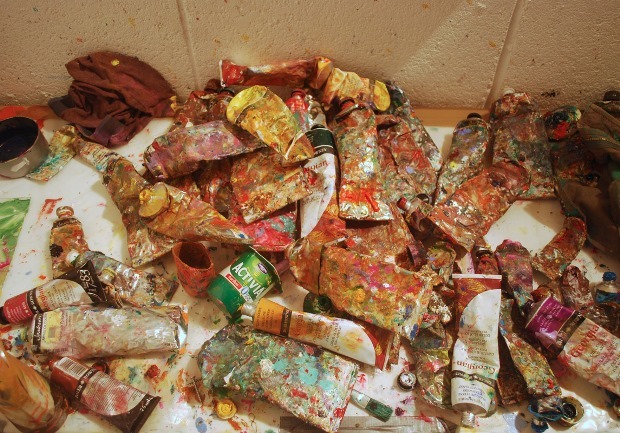 Gradually, the painting will assert itself, emerging from the process of ideas, action and analysis. The end comes with a sequence of correct decisions as I finally understand what the painting is about- a mixture of exhilaration and relief. Freedom and control is the contradiction of painting: finding the balance is the essence of my work. I carry this philosophy through into my teaching where I am happy to share my knowledge and techniques remembering how I was inspired by my own teachers’. Ashley has been a Visiting Lecturer at Canterbury Christchurch University and the National Academy of Art, Bergen, Norway and for the last 5 years has run a number of courses and painting holidays in Cornwall under the banner of ‘Freedom in Painting’, where participants are encouraged to find their own personal interpretation of the landscape. This year there are 2 painting holidays in May and September. Artists will get the opportunity to make work at 4 stunning locations on the north and south coast, followed by 2 full days in the studio. Prices start from £430 and include 5 nights accommodation, all lunches and a celebratory evening meal on the last night. There is also a £30 discount if you book by 28th February. For those more independent artists, in April and October there are 2, 5 day courses in Porthleven . Artists work in the Life Boat Art Studio, on the edge of the harbor, leading up to a one day exhibition on the Saturday with a Private View on the Friday evening. The cost for this course is £350.